It's Sunday, don't be lazy to take some time off for your skin. We need some pamper moments for self. In a week try to apply a mask or two masks. Look it's November now, soon to be December. I am not getting any younger, I know, that's my dear always says me. Not just me, of course to him too. You can always take time off for yourself. 20 minutes a day, in a week just to put on the mask. The guardian 3D Hydrogel Face Mask Collection offers two variants, Moisturising and Brightening for a refreshing new era of mask innovation for more effective at home facial skincare. After open the mask, I saw there are two parts of masks together, one is for the upper face another for the lower face. Ideal for those with dry skin, the 3D Hydrogel Moisturising Face Mask provides long-lasting moisturising, soothing, smoothing and nourishing benefits for skin to look and feel more hydrated and smooth to the touch. Contains eco-certified Calendula extract that is known for its moisturising and soothing properties. It's easy to apply this mask, put it on for 15 minutes to 20 minutes on cleanse face. There's no need to wash face after using the mask. This collection also offers a brightening variant; the guardian 3D Hydrogel Brightening Face Mask for those would prefer a fresher complexion. This variant brightens, moisturises and refines for a dewier radiance. It contains eco-certified Bilberry extract that is known to promote skin lightening, skin refining and is enriched with anti-oxidant properties for your delicate skin. You can always find time to do masking. Just find the suitable time and place where you feel comfortable to do. 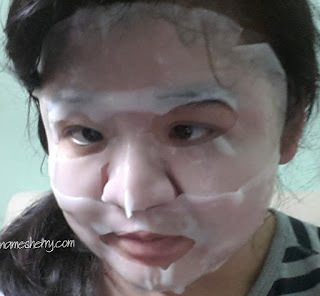 Some of my friends use face mask as travel use too while travel in bus. 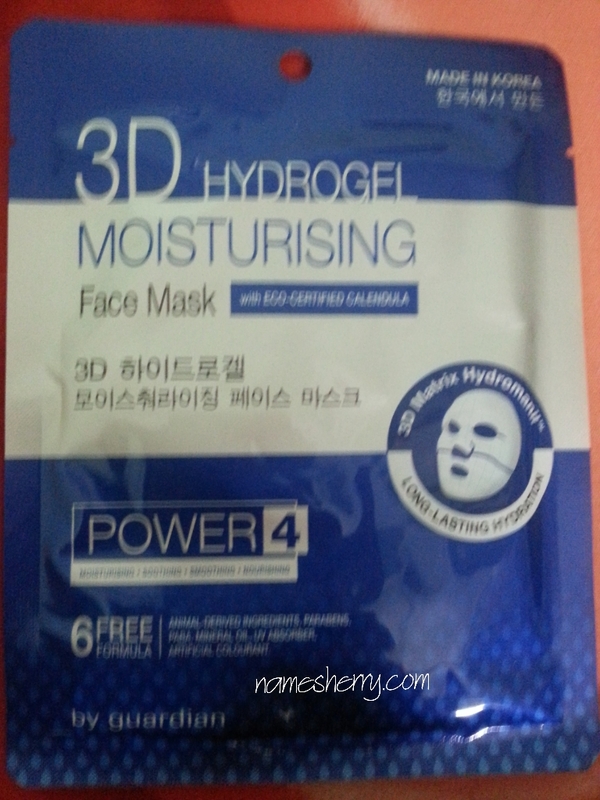 The 3D Hydrogel Face Mask Collection retails for RM 11.35 per sheet at Guardian outlets. 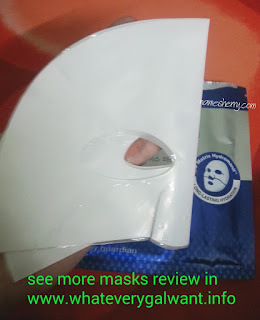 For more Guardian face masks reviewed, do check out my other blog. Click on the link to read up, past few weeks I have done the product review on whateverygalwant.info. Now masks come in 3D! This is really cool! Now i know Guardian is selling 3D Masks! Hi Rose, yeah weekdays can also put on mask. Depends when you like to use it.